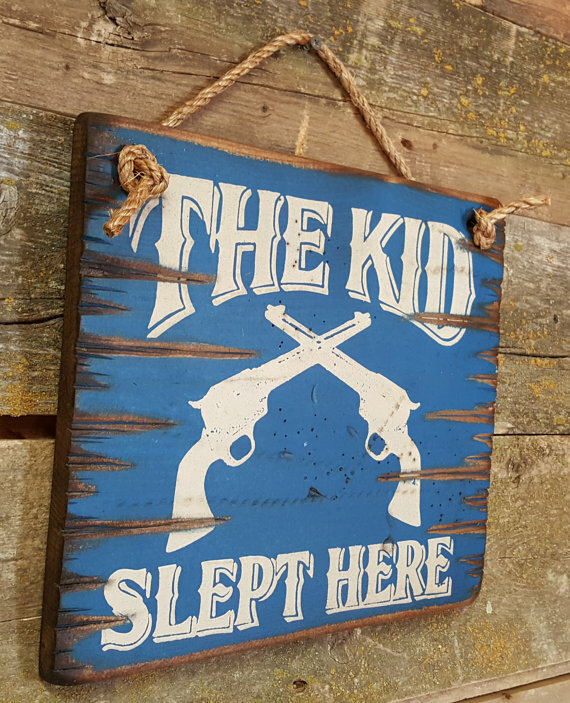 The Kid Slept Here! 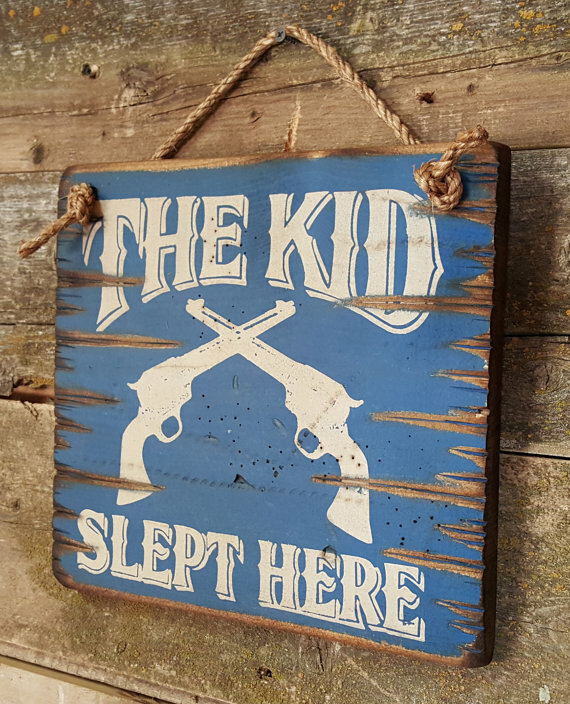 Hang this western sign in your guest room or kid's room and pretend that Billy The Kid was there! The graphic shows two pistols. 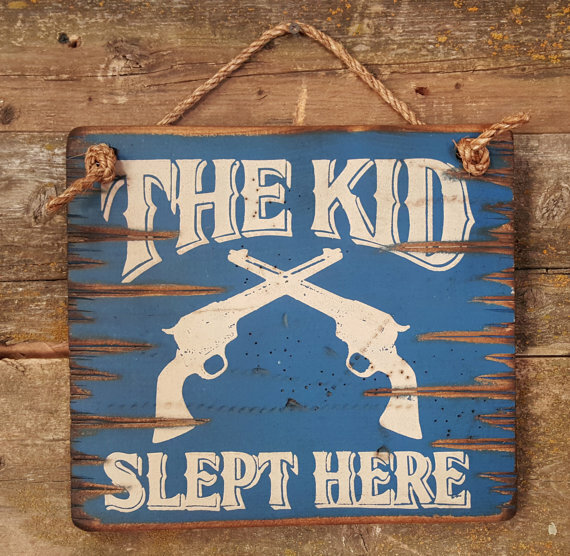 The background on this sign is dark blue and the sign measures 12x12. It comes with the grass rope hanger for easy hanging. Handcrafted with pride!